Prepare crepes according to instructions. Heat ricotta cheese and agave nectar in a small skillet on medium-high and keep mixing it until the mixture becomes liquid and of even consistency. Remove from heat and let it cool. Once it cools a bit, the mixture would become more solid, which is what we want. 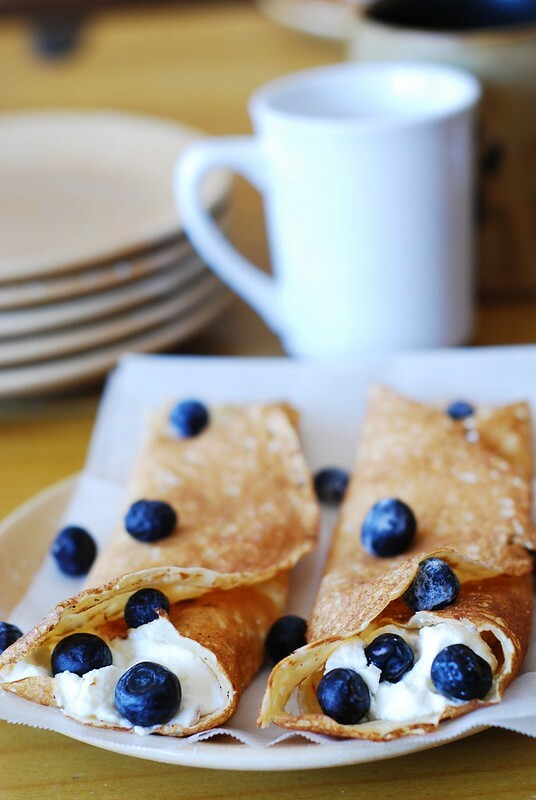 To serve: add 2 tablespoons of agave-ricotta cheese mixture on top of the open crepe, scatter blueberries, and fold the crepe in half. Ready to serve!